I am eagerly anticipating the Tom Ford Spring Beauty Collection. Is it only me who is hyperventilating over this launch? 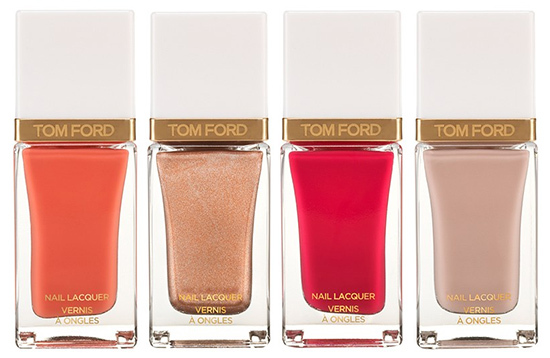 Tom Ford returns to his original white and gold packaging with a selection of gorgeous nail colors and lip color conditioners. My choices are the nail color in Coral Beach and the lip color in Pink Dune. Available now on Nordstrom, online.